This is my first drypoint attempt. 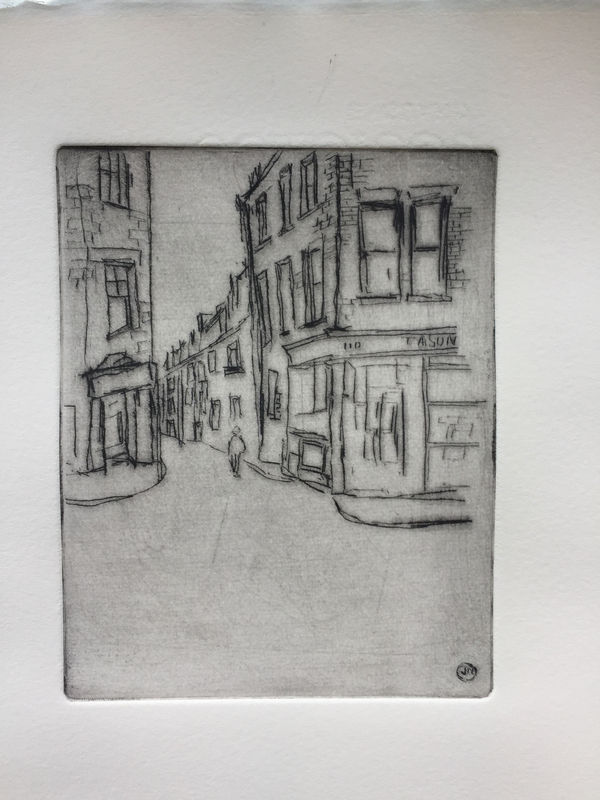 It’s scratched on an aluminium plate, just over postcard size, and printed using the intaglio process on the press at East London Printmakers. This was on a course led by Damien Grist. It is based on a street scene in Edinburgh, Causewayside, where there were a number of antique shops. This is a mirror image of the view from an Italian restaurant.